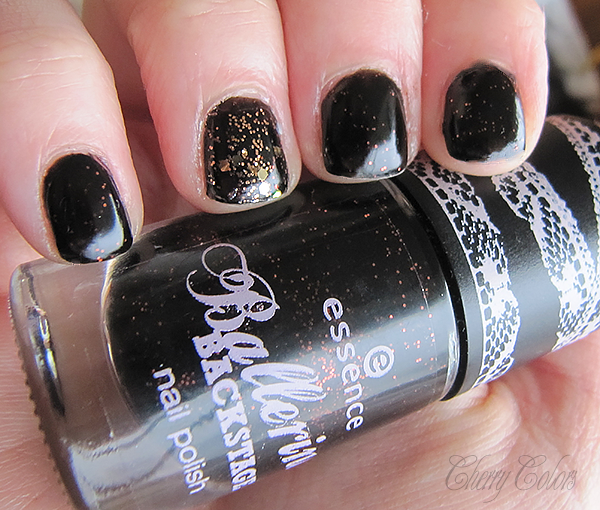 Essence Grand - Plie in black & The huntsman - Cherry Colors - Cosmetics Heaven! It's been a while since I did my last gel manicure. I have always in mind how much I loved those gel manicures, but it takes quite some preparation to actually make one. I picked a polish from my "Winter part" of my collection and somehow I ended with this never used color before from the Ballerina Backstage TE. 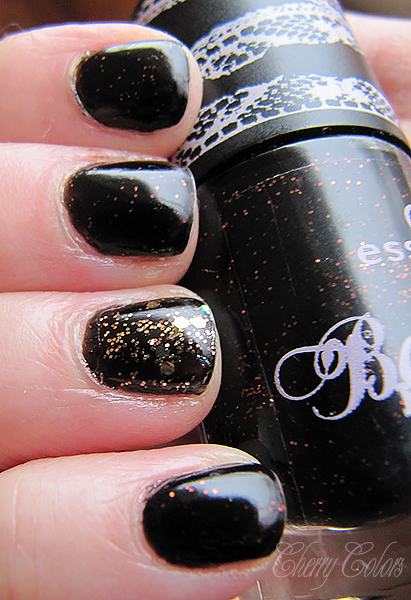 It is a lovely black with broze glitter. 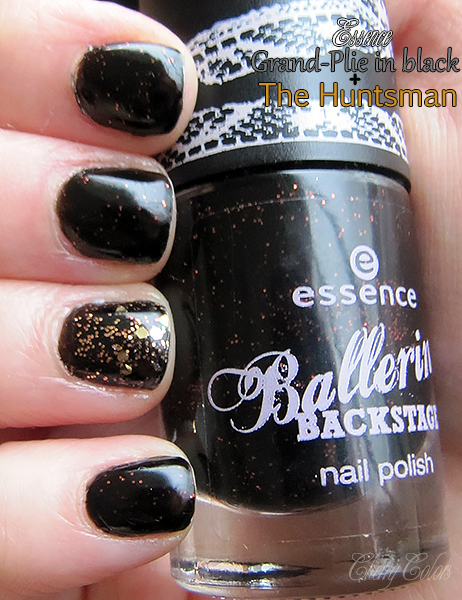 On my ring finger I added the Essence The Hunstman polish (Snow white TE). It took me 2 coats to get an even finish, but I am really pleased with the overall look. I used my Essence Get nails at home set. It seems like the more manicures I do, the better they come out :). I remember my first and second one being super super thick, blah! I can't wait to change this manicure with something brighter, like a deep red or bright red. What is your Winter to-go manicure?